Could your tummy trouble be viral gastroenteritis, AKA the “stomach flu”? 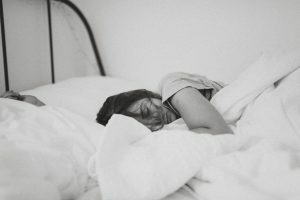 Viral gastroenteritis, commonly known as the “stomach flu”, is an intestinal infection with some seriously miserable symptoms–think nausea, stomach cramps, and frequent beelines to the bathroom. A number of viruses can cause the unpleasant illness, though norovirus is usually to blame. Rotavirus, adenovirus, astrovirus, and sapovirus are also common. These viruses are highly contagious, spread quickly from person to person, and are most active from October to April. You can catch a stomach bug simply from being near, shaking hands, or sharing personal items with someone who is sick. You can also develop the illness by consuming contaminated food or water (i.e. food poisoning). Anyone can get viral gastroenteritis, though young children, older adults, dormitory residents, and those with weakened immune systems are more vulnerable. It’s important to note that the so-called “stomach flu” is not the same as influenza. Real flu is a respiratory infection, whereas gastroenteritis attacks the intestines. *When you have an intestinal infection, your large intestine struggles to retain fluids, which leads to loose, watery stool, generally without smell or blood. Bloody diarrhea may indicate a more severe infection. Head straight to the ER if you notice this symptom. Our medical team is available 7 days a week to provide quick, quality treatment when you need it most! 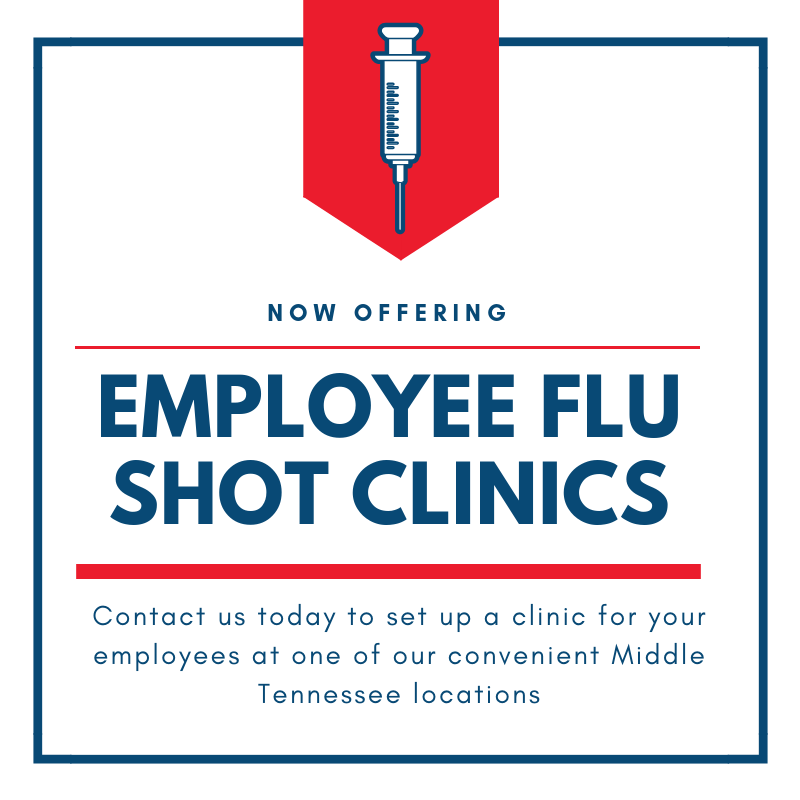 Employee Flu Shot Clinics Now Available! 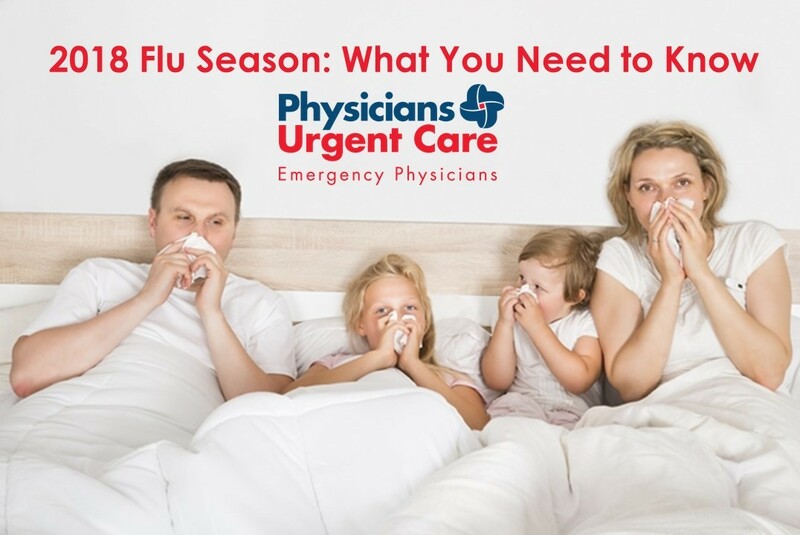 Preventing the spread of flu around your office is easy with Physicians Urgent Care employee flu shot clinics! 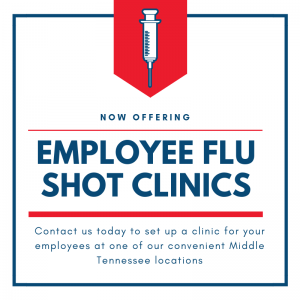 When you schedule a flu shot clinic at PUC, you are providing your employees the easiest and quickest way to get vaccinated – all they have to do is show up! 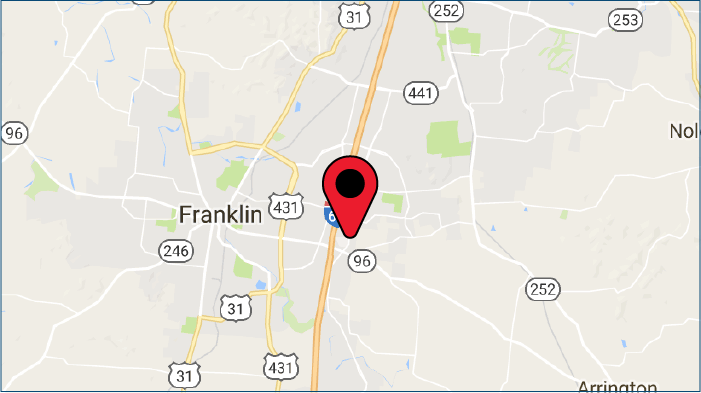 Franklin, Tenn. — Physicians Urgent Care, a group of walk-in clinics with care directed by emergency room physicians, has opened a new location in the Berry Farms Town Center, 5021 Hughes Crossing, Suite 165 in Franklin. Physicians Urgent Care brings a unique combination of quality, efficiency, comfort and accessibility to patients with non-life-threatening emergencies. Locally owned by Board-Certified ER physicians, the clinics can treat a majority of cases normally seen in a hospital emergency room, without the high cost or long wait times. The clinic is open 8am-6pm weekdays, Saturdays and Sundays. Physicians Urgent Care clinics look more like living rooms than doctor’s offices, with free snacks and soft drinks. Colorful pediatrics rooms feature toys, games, televisions and low seating to make children feel more at home. Physicians Urgent Care clinics can treat a variety of illnesses from colds, allergies and infections to bronchitis and pneumonia. They can also handle minor trauma; burns and cuts; insect bites; fractures, sprains and dislocations; and work-related injuries. Physical exams, including sports physicals, are also offered. On-site X-ray capabilities, labs and procedure rooms allow Physicians Urgent Care to treat many conditions that most doctors’ offices and other clinics cannot. 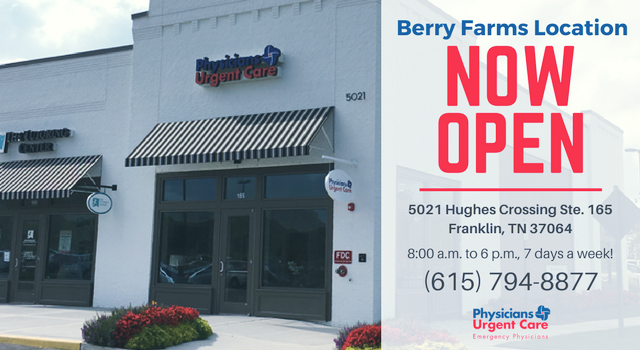 In addition to Berry Farms, Physicians Urgent Care has two other locations — 155 Covey Drive, Suite 100 in Franklin; and 700 Old Hickory Blvd, Suite 207 in Brentwood. A fourth location in Nashville West is set to open later this year. Most private insurance is accepted. For more information, visit www.PhysiciansUrgentCare.com. As the summer comes to a close, it is time for children to visit the doctor. While no kid relishes the thought of a physical exam, it is important to get a recent assessment on your child’s overall health. Depending on your school district, the annual exam may be required before your children begin attending classes or join athletic teams. Why Schedule a Physical Exam? The physical exam gives you and your doctor an idea of how your child is developing. In addition, you can discuss nutrition, sleep schedules and any pressing concerns you have about your child’s wellbeing. Your doctor will talk about any prevalent illnesses in the community, as these can vary from year to year. As a parent, you may ask the doctor to talk to your older children about any issues they may feel more comfortable discussing in private and not with mom or dad. Why Have an Exam Before School Starts? A back-to-school doctor’s visit is convenient for many parents as it can be scheduled in addition to other errands to prepare for the fall. But there are also specific reasons to get this done before classes start. Your school district may require certification of vaccinations for young children. As kids get older they may want to participate in physical education classes and you want to make sure they are physically able to do so. 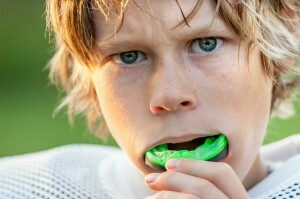 If your teen is on any school athletic teams, they may require an examination by a school physician before they are cleared to play. Note that this exam typically only looks at whether your child can be on the school team and doesn’t address other health issues. Taking the time to talk about any unexplained changes, like possible allergies, before school starts allows you to make preparations with the school. No parent wants to discover their child is allergic to nuts during a field trip before they have been able to educate their child and the teachers about steps to take in the case of a reaction. At Physicians Urgent Care, we make your child’s care our highest priority. To learn more, visit one of our convenient locations in Franklin or Brentwood, Tennessee. With the arrival of the fall sports season come concerns about injuries, training and conditioning. And with these concerns comes confusion. Fact: Recent studies found that stretching before exercise or activity may actually hamper muscle performance. This is especially true for “static” stretching (holding a stretch longer than a few seconds), which instead of preparing muscles for a workout, actually weakens them, increasing the risk of injury. On the other hand, a warmup — which is different than stretching — is beneficial. Warming up, like taking a light jog or easy practice swings, primes the muscles before intense activity. You can also safely add high knee exercises, squats and lunges to a warmup. Fact: Playing a sport or exercising should not be painful, especially for young people. If acute pain occurs, it’s likely due to poor technique or even worse, a serious injury that should be checked by a physician. Soreness, stiffness, and some discomfort can be expected, but sharp pain is never normal. 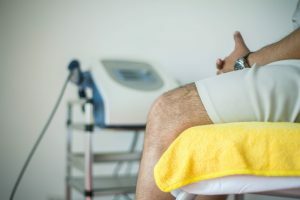 Fact: Studies have found that growth plate injuries reported from weight training were due to improper technique, inadequate adult supervision or inappropriate weight selection. With proper technique and supervision, weight training for young people can be done safely. “It’s important to use a full range of motion, and you should avoid going too heavy early on,” says Dr. Babcock. Fact: Any athlete, no matter how strong, can get injured at any time. Building muscle strength is definitely important for lifting, jumping and running. But sports injuries will occur, especially if an athlete is over-exerting, fatigued, or dehydrated. Proper training and conditioning, while allowing appropriate time for muscle recovery in between training sessions, are still the best ways to reduce injuries. Fact: Ice is the best treatment for the first 2-3 days. After an injury, there’s a lot of blood flowing to the injured area, causing the swelling. Ice will help reduce that initial swelling as well as naturally numb the area to help diminish pain. Using heat could actually cause the area to swell more. Fact: An ankle fracture typically takes longer to heal than a sprain and may even require surgery, which can prolong the time away from sports. Even high ankle sprains, which take longer to heal than more common low sprains, heal sooner than most ankle fractures. 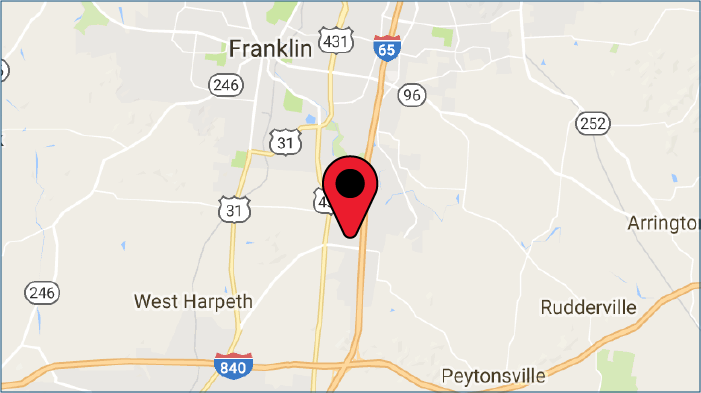 Physicians Urgent Care currently has three locations — 155 Covey Drive, Suite 100 in Franklin; 700 Old Hickory Blvd, Suite 207 in Brentwood; and a new clinic in Berry Farms, 5021 Hughes Crossing, Suite 165 in Franklin. A fourth location in Nashville West is planned for later in 2017. You’re ready for them to go back to school. And you’re getting them ready to start the school year. Marking off the list of “must haves”: pencils, markers, note books, school books, backpack, and new clothes – for getting started. And one last family vacation weekend fling together before everyone is in a new grade. As you check your list once more, your mind wanders to how to keep your children healthy through the coming school year. 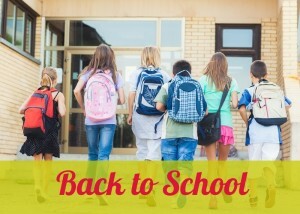 Physicians Urgent Care in Brentwood and Franklin Tennessee provide these tips to help you avoid the illnesses that come with kids going back to school. There are some time-honored practices that serve to protect your youngsters from contacting, and from sharing, air-borne illnesses. Instill these as habits in your kiddos and help them stay healthy through the school year. “Wash your mittens, you darling kittens.” Does it get simpler? The habit of hand-washing goes the distance in guarding your little ones, and everyone, from germs. Teach your children to wash their hands with warm water and soap each time they use the bathroom, after recess and gym class, if at all possible, and before meal times. These habits will become ingrained, and you’ll have healthier kids. Teach your children that, while sharing is the right thing to do, they must not share their water bottle, drinking glass, or straw with their buddies. Make sure the children have breakfast before they leave home to start the school day. If a sit-down breakfast is out of the question, the meal can be on-the-go. A breakfast bar high in protein and drinkable yogurt give your kiddos a power-start to their morning. And include a chewable vitamin. A lunch box packed with easy, interesting, and healthy items will tempt your kiddos to eat. Finger foods might be best, and making each offering as convenient to eat as possible will go a long way. Include an icepack for safety’s sake. Get them moving after school. After a day of sitting and stress, kids need exercise to burn off some energy before sitting down to homework. And a quick snack of fruits and veggies before dinner will serve them well when they come home, too. 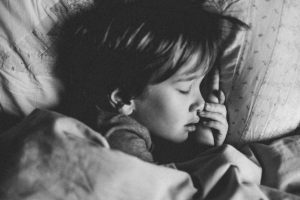 The habit of a regular bedtime during the school year is important for your children’s health. Lights out, electronics off, eyes closed. Good luck, but give it the best shot. It truly is important. When your little ones are ill, keep them home. Remember the no-share rule. It goes for illnesses, too. Teach them to cough and sneeze into their elbow (or a Kleenex) rather than into their hands. Have them keep a Kleenex in their pocket for nose-blowing when they have the sniffles. And instruct them to not rub their eyes, that their unwashed “mittens” carry germs that can make them feel really lousy. Make sure that vaccinations are up-to-date, and keep the records in a secure place. Vision and hearing screenings prior to starting the school year could catch something you’ve missed and give your child the foundation for learning that every child needs – being able to see and hear in the classroom. 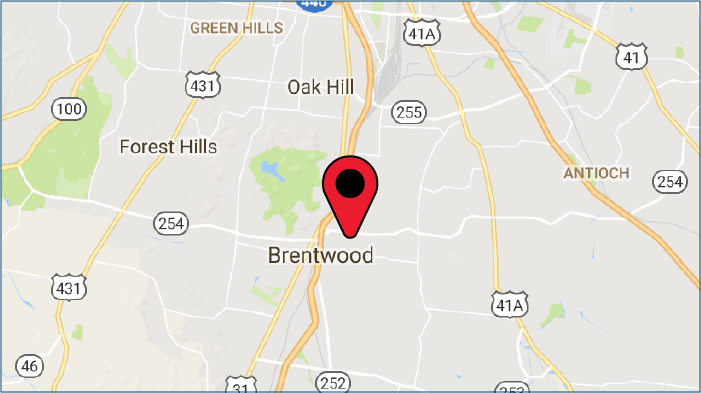 When you or a family member is ill or injured, come into your local Physicians Urgent Care in Brentwood or Franklin, Tennessee. You’ll be seen quickly by an ER physician at a fraction of the cost of an ER visit. And no appointment is necessary. Our care givers are ready to treat you well. When you need us, we’re in the neighborhood. Because your children staying healthy through the school year is your goal and ours. Have you seen our new commercials yet? This one is a crack up!